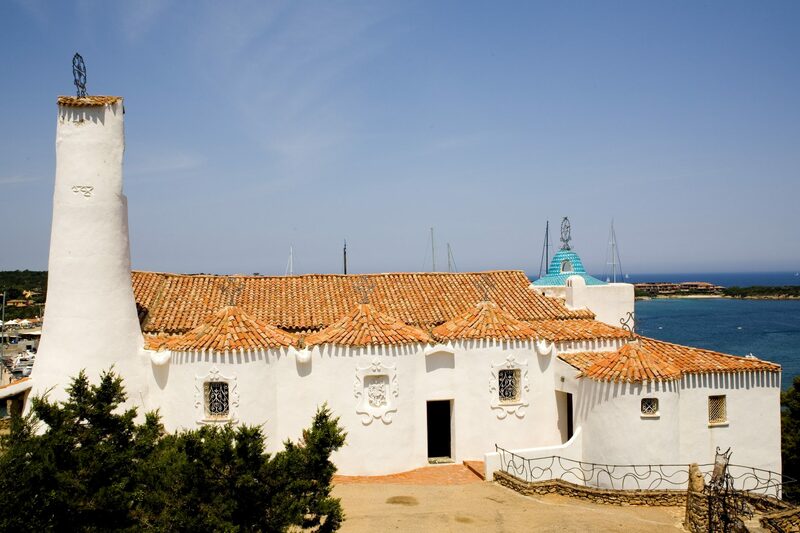 A longtime celebrity haunt with pristine beaches, the Costa Smeralda is also a pasta paradise. When people fantasize about Italian vacations with crystalline shorelines and pasta-strewn tables, the Amalfi Coast might come to mind. Just south of Naples, the Salerno province's hit towns include Positano, Amalfi, and Praiano, among other mountain-clinging villages that spill into the Mediterranean. Yet even in the off-season, these towns become clogged with tourists. A few hours west of the Amalfi Coast, however, is another immaculate—but more breathable—stretch of mountain-bordered beach where the pasta is plentiful, and that is the Costa Smeralda of Sardinia. Located on the northeastern coast of Sardinia, the Italian island known for its rich history and turquoise coast, Costa Smeralda houses a handful of colorful resorts where celebrities, movie stars, and people who identify as "moguls" have been summering for decades. A one-hour ride from the Olbia airport is Porto Cervo, a town where the 20-kilometer-long coast's singular beauty is best displayed (and where people park their super yachts.) Go for the beaches, yes, but stay for the pasta. 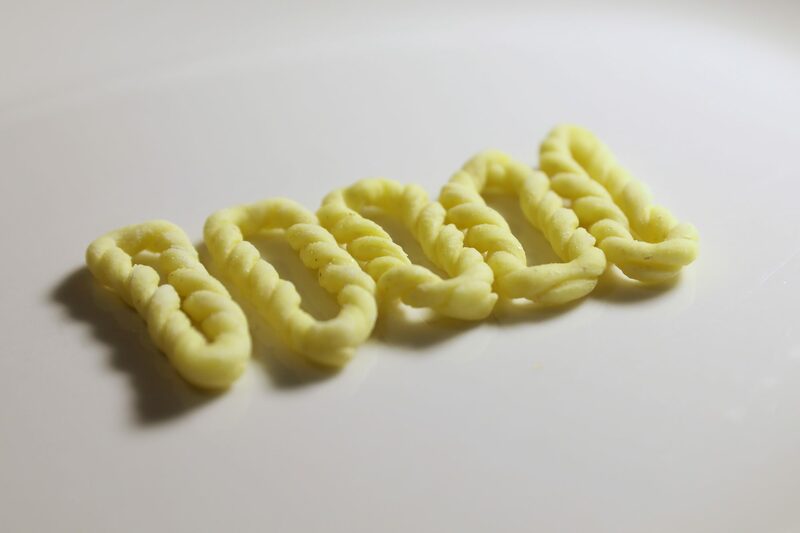 Sardinia is home to a dizzying number of excellent pasta shapes and sizes, stuffed and unstuffed, and you can try many of them here, without driving all over the island—though you should do that, too; the mountainous central region is stunning. If you want the A-list, Beyoncé-inspired experience (yes, she's vacationed here), consider staying at any one of the Starwood Luxury hotels that dot the coast—Cala Di Volpe, Hotel Romazzino, Hotel Pitrizza, and Cervo Hotel—where the on-site restaurants showcase the diversity of Sardinian pastas, many of which are almost impossible to find on the Italian mainland. 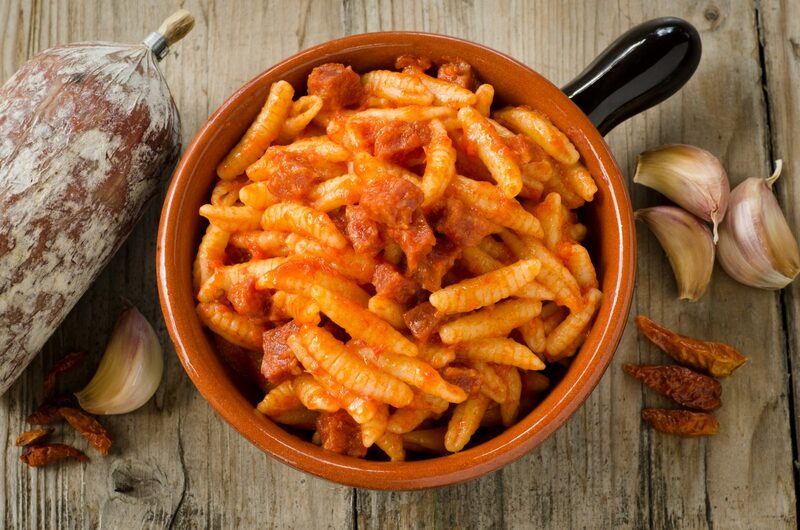 At Romazzino, you're likely to find malloreddus alla campidanese—a gnocco-like shape unique to the central-southern part of the island that's typically served with saffron-spiced tomato and sausage sauce. Intricately ridged, the pasta absorbs the sauce's flavor while still offering a sturdy bite. 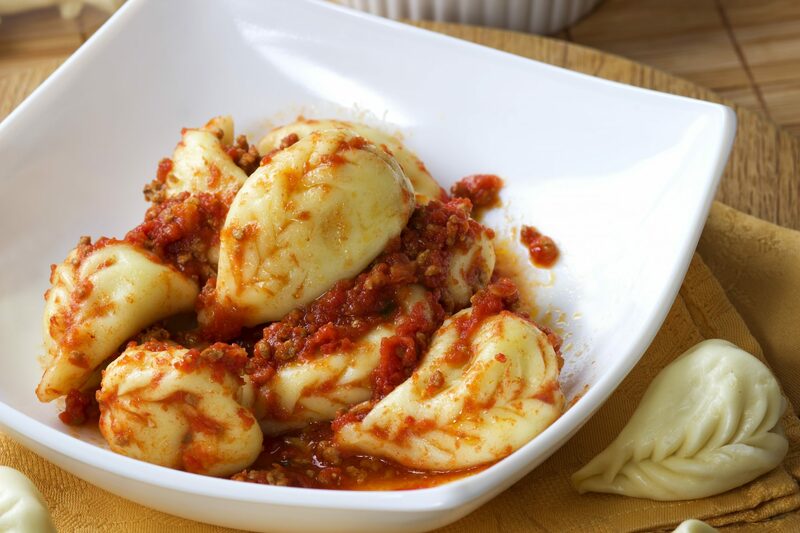 If you're lucky, culurgiones will also be on the menu—the fresh Sardinian pasta (meaning "little bundles") is stuffed with potato, Pecorino Sardo, and mint, almost like a pierogi. Briefly boiled and served in a simple sauce, the resulting dish is transcendent in its simplicity. The al dente rings were served in a rich seafood broth, delicately flavored with tomato, and it was possibly the best thing I ate this year.